For policy-makers and politicians who seek to offer robust, transparent information about the quality and safety of all too often troubled nursing homes, a newspaper investigation in Oregon underscores how poor execution guts good intentions. The Oregonian deserves praise for discovering that a highly praised public health initiative in the Pacific Northwest foundered due to weak oversight and follow-up by regulators and others involved. The project started with a great idea that many in health care discuss often: Taking public data about nursing homes and posting it online on a website targeted at families in desperate need for information to decide which care facilities are best for their ailing, infirm loved ones. 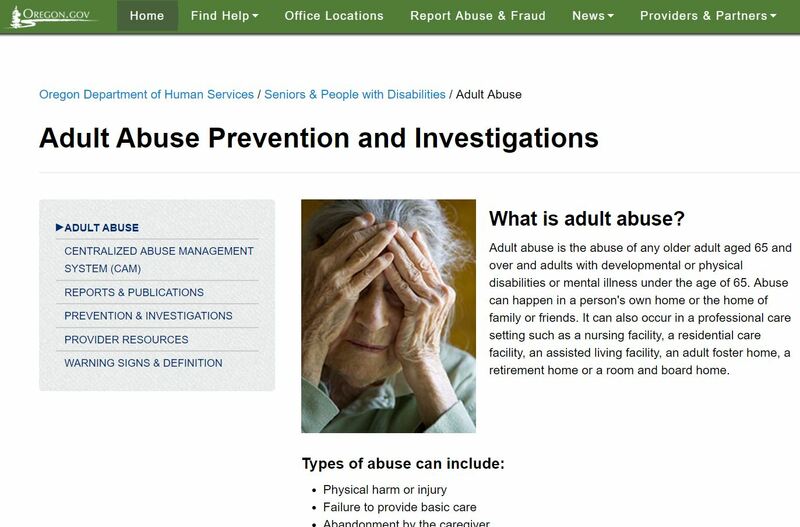 But after analyzing reams of records, the Oregonian found that state officials failed to provide critical data, excluding almost “8,000 substantiated complaints of substandard care.” This omission of 60 percent of the substantiated complaints filed against facilities since 2005 skewed the accessible information on the quality and safety records of 90 percent of Oregon’s nursing homes. State officials would not have found the glaring flaws in their disclosures if the Oregonian had not, they conceded. They blamed the significant data faults on murky incident reporting laws that state staff misinterpreted. They say they plan to overhaul the nursing home rating site, putting up the missing data. But damage already has been done, the newspaper reported. It cites a case in which a Portland area woman studied the state website, then sent her elderly mom to a nursing home near her residence. But her 93-year-old mother, suffering with dementia, received poor care there, her daughter says. Her mother’s medications were mishandled, and she says she found the elderly woman, left alone and after she had soiled herself several hours before. Her mother was hospitalized for diarrhea and dehydration. 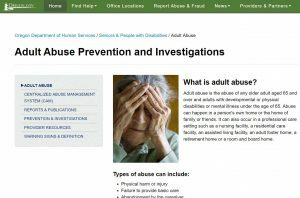 Only after the daughter filed a formal complaint with the state about the nursing home did she learn that, contrary to what the Oregon website said, the facility had 10 investigated and substantiated complaints of abuse, neglect, and poor care. In my practice, I see many cases of nursing home abuse and neglect. I’ve written that, nationally, a tragic number of seniors may be sexually assaulted and abused in nursing homes—and these crimes are under-reported and neglected. I’ve also written how Uncle Sam has stepped in to try to block nursing homes from forcing patients and families, under duress, from signing arbitration agreements, legal documents that can deprive them of the right to seek justice in the civil system when injured or abused. Nursing homes seek to hide their wrongs, instead, by pushing families and patients into arbitration, private dispute resolution system in which the facilities hold the upper hand. As the nation grays and tens of millions more Americans need nursing home care, we need to help them and their families make costly, difficult, deadline choices about the best facilities for seniors with the best, most accurate, fair, and responsible information available. This is a challenge comparable to what patient-consumers confront in finding affordable, safe, and excellent medical services in hospitals. Yes, the Internet can be a big help in sharing invaluable health information so we make sound choices. But we can’t allow officials to ruin our lives and health by putting garbage data into formal informational websites, which also withhold substantiated complaints of harm.